Pammy Blogs Beauty: The Nivea Get more for $1.00 Challenge! The Nivea Get more for $1.00 Challenge! The Nivea "Get more for $1.00" Challenge! I love a good challenge! So, when NIVEA approached me to take their "Get more for $1.00" Challenge, I was eager to give it a shot! NIVEA Creme is an absolute "cult classic" product. I know that many people have used it for years and swear by it. I honestly can't believe that I have not tried this classic creme until now! NIVEA Creme has been trusted for over 100 years since its creation in 1911 to hydrate your family’s skin via a clinically proven formula of Jojoba Oil, Vitamin E and Eucerit -- a unique moisturizing ingredient that helps your skin stay soft and supple all day long. How It Works: Over the course of a week, NIVEA invited me to learn how far a dollar can take me when it comes to myself and my family’s skincare routine. I know that my body can always use some extra moisture this time of year. So, I was excited to get started! This decadent NIVEA Creme is absolutely divine! It is rich, thick, and moisturizing. It carries a somewhat heavy powdery/floral scent. At first I was not sure about the scent...but, I can honestly say that I have grown to love it! The Creme comes in a tin. When you apply, the creme almost seems pasty at first. However, as you work it into your skin, it warms up and almost melts into your skin. It takes a little while to absorb (you might feel slightly sticky until it absorbs all the way). I really love the lovely soft sheen that this product leaves on your skin. I feel like it leaves me looking glowy (in a good way!). 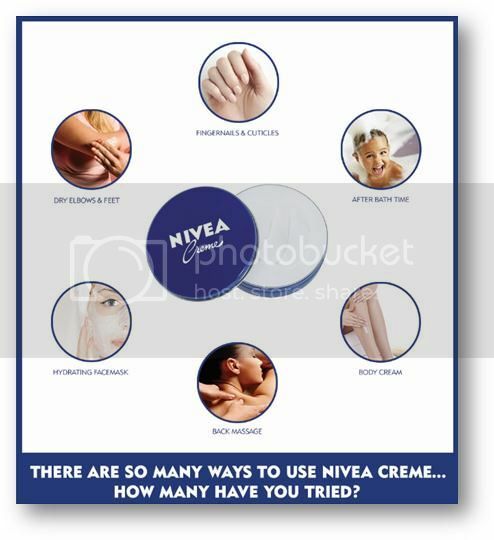 Nivea Creme is a multi-purpose creme. You can literally use it everywhere! At first, I was focusing primarily on applying it to the super dry parts of my body: my hands, cuticles, elbows, feet, and heels. I rather enjoy my routine of slathering this amazing cream on at night before bed. I take special attention to really work it into my cuticles. After seeing the NIVEA Creme transform my rough body skin after just a few days, I decided to branch out a bit more! Did you know that NIVEA can be used on your face as well? Yes, it can! You can use it to spot treat any super dry areas or as an all-over moisturizer/night cream. You can also use it as a super duper hydrating mask (just apply thickly and let it sit on your face for 15-20 minutes and then remove with a warm wet wash cloth). I also like using it as an eye cream. Now, after one week of use, I do not have any long-term effects to report. However, I can tell you that in just one week, it has really transformed the dry areas of my skin into soft supple skin! I am very pleased and have kinda fallen in love with this cult classic. Its good reputation is well-deserved! 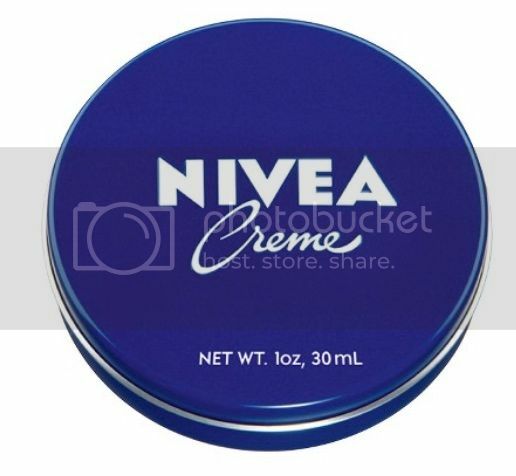 The Mini tins of NIVEA Creme retail for only $1.00!!! These are great for testing out the product or for using NIVEA Creme on-the-go.